But like all deceptions, the betrayal starts with one and then mushrooms to thousands. Two lure in several others. It was his experience that those engage on the “shadow side” of large scale franchise disputes, suffer severe health consequences. It was fatal for the dad in Ontario’s first franchise class action case, Bulk Barn. It was fatal for a friend called Julie. Tony‘s not doing so well. I don’t know how well John, David Sterns, Michael Webster, Jay Harris, Peter Webber, Andrei Oudovikine, Alexendre Oudovikine, Jonathan Lisus, Jeff Lefler and Franck Panczyk and their families are doing. Justice is one of the four cardinal virtues in classical European philosophy and Roman Catholicism. It is the moderation or mean between selfishness and selflessness – between having more and having less than one’s fair share. Justice is closely related, in Christianity, to the practice of Charity (virtue) because it regulates the relationships with others. It is a cardinal virtue, which is to say “pivotal” because it regulates all such relationships, and is sometimes deemed the most important of the cardinal virtues. If John Sotos would talk to me, what would we talk about after all these years? 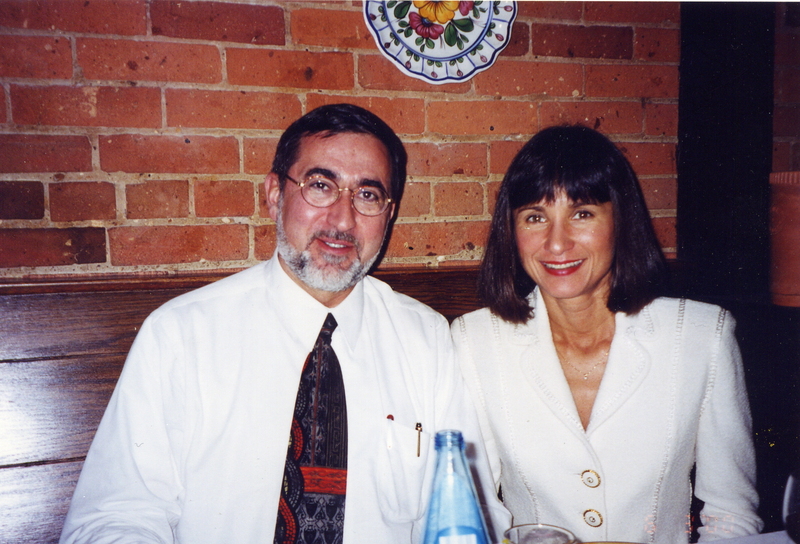 I took John and Susan Kezios’s picture on the first day of the public hearings that resulted in the Arthur Wishart Act (Franchise Disclosure), 2000. Who knows…maybe one day our widows will will talk? Would it be better to have no legislation? That’s a no-brainer. The public hearings that led to the Ontario Wishart Act (Franchise Disclosure), 2000 started on March 6, 2000. The first expert witness was Ms. Susan Kezios from the American Franchisee Association (her testimony, above to right). Mr. John Sotos was the next of the five expert witness (40 in total :: 4 days :: 4 cities) was a Toronto attorney called (his full testimony, left). Mr Martin: Would it be better to have no legislation than to put a piece of legislation in that gives people a false sense of security, given some of the statistics? Mr Sotos: That obviously is a no-brainer. The purpose of legislation is remedial, it’s to correct a problem. If the legislation doesn’t achieve that, then I think it’s misplaced. I have learned directly, personally, in-their-armpits relationships from the best in franchising. Ted Gorski, McDonald’s, CollegePro Painters, Nutri-Lawn, Tony Martin, Canadian Imperial Bank of Commerce, Sam Grange, John Lorinc, Paul Herminston, Katherine Swinton, Canadian Franchise Association, Country Style, Gillian Hadfield, Michael Webster, Jay Harris, etc. They’re all brilliant in their areas of expertise. When I got into a corner and thought I needed legal help I hired the best I couldn’t afford. John Sotos was my on-and-off-again lawyer from 1998 t0 2000 and I learned a great many things from John and his partner David Sterns. Both John and Michael told me to look at and talk to the banks. Oddly enough, the first lawyer I talked to about franchising in 1982 is now a Ontario Superior Court justice in Barrie. I like lawyers but they’ve got to cover their rent too, you know! Many franchisees want to fight. That’s good…and bad at the same time. Many franchisees think in terms of black and white; now or never; us/them. Many franchisees would rather choose a “white knight” professional instead of a group of franchisees plotting their own course. That’s not good…and really, really horribly bad. The McDonald’s U.S.A. president described his corporation as a real estate company with an interest in hamburgers. Let me repeat: McDonald’s is a landlord (to franchisees) with an interest in fast food. I learned that the economics of modern litigation is very similar. The industry has a very, very long memory for those that oppose it’s interests. All lawyers are businesspeople that operate in a near-monopoly on certain words and concepts. Learning these terms is not hard if you have (1) a learning tool and (2) a willingness to face some difficult facts. Most let their emotions rule their decision making (ie. denial and fear) but in their defense, aren’t really conscious of doing so. They’ve been conditioned to be on their knees and look to Daddy for acceptance. Education is the only way out. Frank Zaid is a Canadian lawyer with Osler, Hoskin & Harcourt LLP. He has been listed as one of the leading franchise law practitioners in every published edition of the Canadian Legal Lexpert Directory, the Lexpert/American Lawyer Guide to the Leading 500 Lawyers in Canada. In the 2005 and 2006 editions of Who’s Who Legal Frank was ranked as one of the most highly regarded franchise lawyers in the world, and as the most highly nominated practitioner outside of the United States. In the 2006 edition of the Lexpert Legal Directory he was ranked as the most frequently recommended franchise lawyer in Canada and Osler was ranked as one of the most consistently recommended major full service law firms in franchising. 2. Mr. Zaid gave testimony before the Standing Committee on Regulation and Private Members Bills of the Legislative Assembly of Ontario on March 6, 2000 in consideration of Bill 33, Franchise Disclosure Act on behalf of the business law section of the Canadian Bar Association. 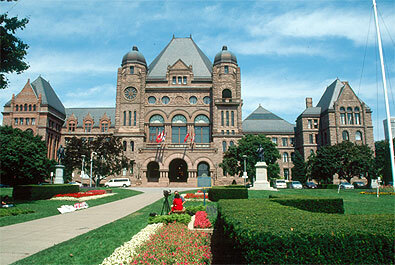 This bill resulted in Ontario’s first franchise law, Arthur Wishart Act (Franchise Disclosure), 2000. The Acting Chair (Hon. George Smitherman) exercised his discretion in allowing additional time for questions. I know this because I was in the Committee room listening very carefully to Mr. Zaid. I had just come back from lunch with Susan Kezios and John Sotos. This is an excerpt from the transcript. The Acting Chair: We’ve got a few minutes left for questions. We’ll start with Tony Martin. Mr Martin: Certainly, your presentation flies in the face of some of the information presented to us, particularly this morning by Susan Kezios from the American Franchisee Association, who suggests other than that franchisor systems flee states where there’s good legislation. I suggest that maybe bad franchisors flee, and who would argue against that? Were you the counsel for the Pizza Pizza franchisor? Mr Zaid: I was one of the counsels. Mr Martin: Were you the counsel in the Bulk Barn case for the franchisor? Mr Zaid: I’m involved in that. Mr Martin: You’re not the person who sent out the letters of threat to anybody who would intervene in any way in terms of that action? Mr Zaid: I’m not going to answer that question. The Acting Chair: Further questions? Seeing none, thank you very much for your presentation. 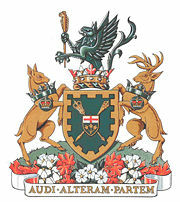 The motto on the Legislature’s Coat of Arms, AUDI ALTERAM PARTEM, challenges the legislators to “Hear the Other Side.” Also note that the Mace (top and crossed on the Shield of Arms) is the traditional symbol of the authority of the Speaker of the Assembly. Mr. Martin served as the Deputy Speaker of the House at that time. I had the great privilege of acting as a volunteer industry researcher to him.